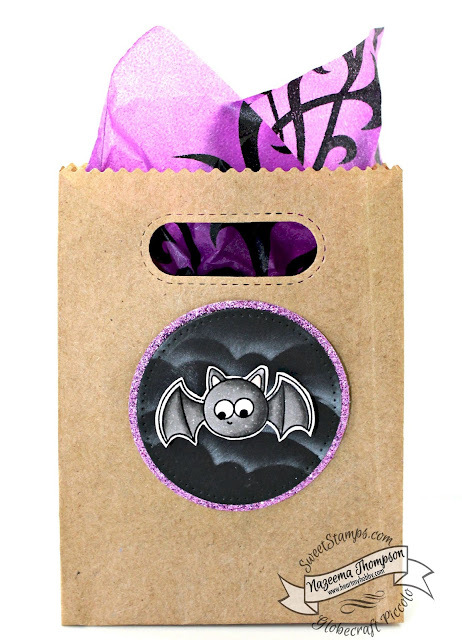 I created this cute treat bag for our September Anything Goes Challenge at SweetStamps Blog. I am working on 15 other bags, but only had 15 sides glued down! Once they are dried and completed, I will share a picture! Have a safe and enjoyable Monday.